I’m beginning to see the list of favorite books/reads of 2017. I love to read others’ lists. I also like to think about over what I’ve read this year and choose my favorites. These are my favorite books I read in 2017. Only three of the books were actually published in 2017. 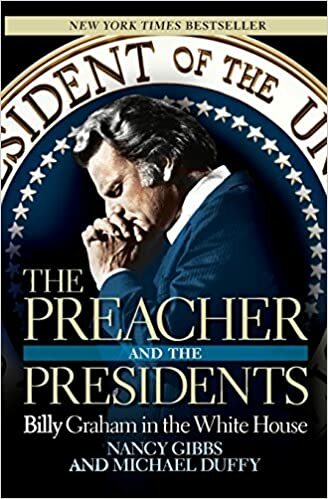 The Preacher and the Presidents: Billy Graham in the White House by Nancy Gibbs and Michael Duffy. This book explores the relationship between Graham and eleven United States presidents from Harry S. Truman to George W. Bush. It is both a fascinating and frightening portrayal offering an encouraging look at the possibility of gospel ministry to political leaders and a cautionary tale of the perils of such ministry. Henry Clay: The Essential American by David S. Heidler and Jeanne T. Heidler. 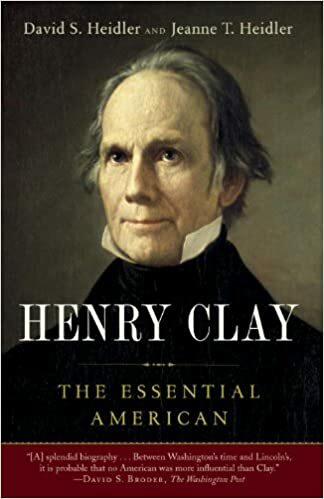 An exhaustive biography of a truly important American, the Kentuckian Henry Clay. It’s amazing how entwined his life was with the life of our nation from 1800-1850. This is not only a primer on Clay, but a good overview of American political life in the first half of the 19th century. 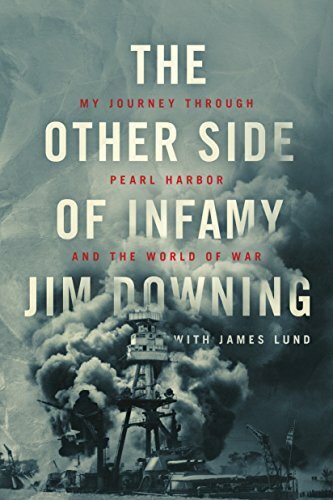 The Other Side of Infamy: My Journey through Pearl Harbor and the World of War by Jim Downing. I loved reading this book by 103-year-old Pearl Harbor survivor, Jim Downing. Downing, who I met this year, is very lucid in his recounting of his experience at Pearl Harbor and his years of service and ministry that followed. A great first-hand account of the day that lives in infamy and of the early history of the Navigators. 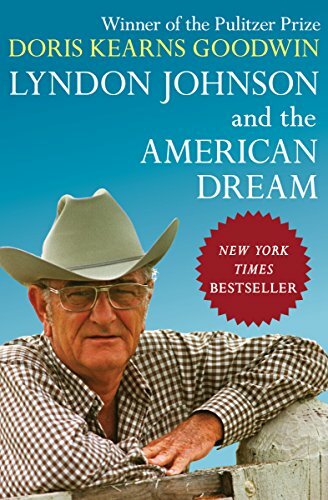 Lyndon Johnson and the American Dream by Doris Kearns Goodwin. After you get past the creepy psycho-analysis of Johnson early on, this is a very compelling read. This combined with the portrayal of Johnson’s relationship to Graham in The Preacher and the Presidents paints an interesting picture of a man increasingly isolated during his presidency who looked for loyalty and love of people. 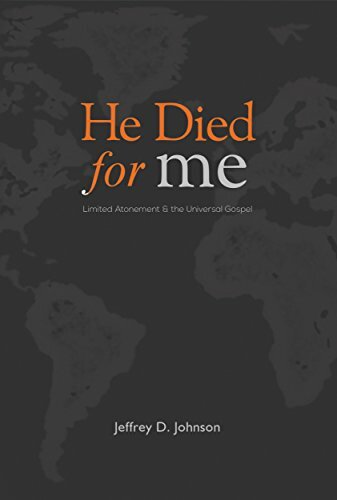 He Died for Me: Limited Atonement and the Universal Gospel by Jeffrey D. Johnson. A compelling look at the nature of the atonement with an understanding of its nature that allows for/demands a proclamation to the world. 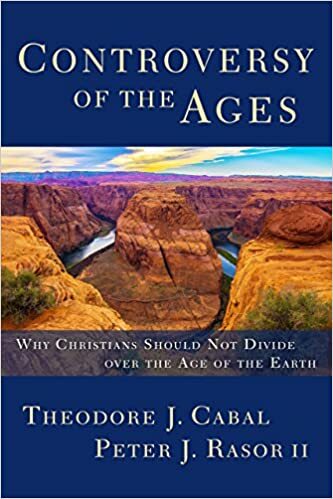 Controversy of the Ages: Why Christians Should Not Divide Over the Age of the Earth by Theodore Cabal and Peter Rasor II. This book is well-described by its subtitle. While discussions about the age of the earth often divide Christians, this work argues that should not be the case. Interesting analysis of historic debates between science and Christianity provide a model for how to engage in perceived conflicts in the present and future. The Reason for God: Belief in An Age of Skepticism by Timothy Keller. 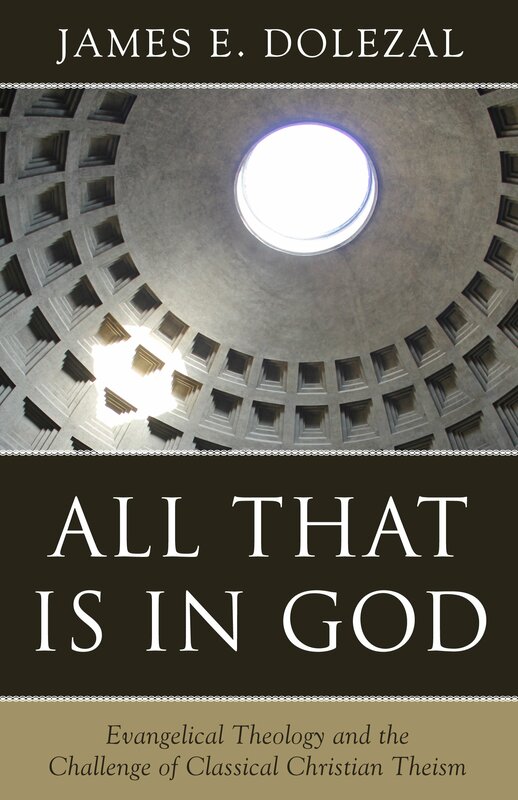 An excellent apologetic work that winsomely argues for the existence of the Christian God. C. S. Lewis for the modern man. After reading on Kindle, I ordered a hard-copy to have on hand for reference and perusal. 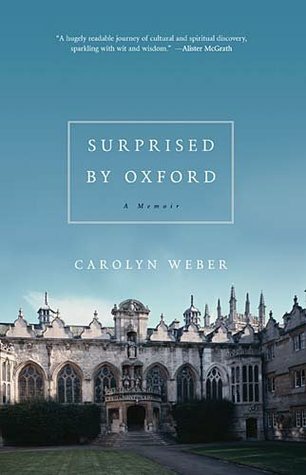 Surprised by Oxford: A Memoir by Carolyn Weber. Beautifully written memoir of an American who converted to Christianity while studying at Oxford. Fascinating details about life at Oxford sprinkled throughout a conversion narrative that takes place slowly, but powerfully. 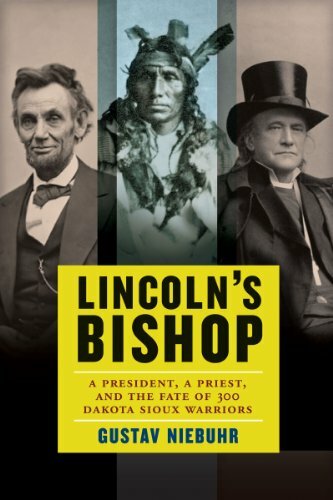 Lincoln’s Bishop: A President, A Priest, and the Fate of 300 Dakota Sioux Warriors by Gustav Niebuhr. Insightful portrayal of the impact of a minister who appealed to Abraham Lincoln on behalf of Native Americans. This book has everything from details of conflict on the frontier between settlers and Indians to the conscientious stand by an Episcopalian bishop for the equality and protection of a despised group of people. All That is in God: Evangelical Theology and the Challenge of Classical Christian Theism by James E. Dolezal. A short, but dense treatment of some of the foundational issues related to the doctrine of God that have seemingly been assumed, then lost to a current generation of evangelicals. Dolezal builds the classical doctrine of the Trinity while affirming and safeguarding the foundational doctrines of simplicity and impassibility. In the end, he shows that the orthodox position on the Trinity must take into account these doctrines in any formulation of a doctrine related to the Godhead. 1st There is but one true and living God – the maker and preserver of all created things, visible and invisible; and that in this adorable Godhead there are three personal relations, a Father, Son, and Holy Ghost. And these three are one – equal in glory, dignity, eternity, and power. Though, as to the true humanity of Jesus Christ, He is often spoken of in the New Testament as inferior to the Father. 2nd That the Scriptures of the Old and New Testaments, as stated in their canonical books, is the uniform doctrine of faith; and that this sacred volume is the only infallible rule of all our faith and practice. 3rd That by the disobedience of the first Adam, all his posterity became guilty, and sinful in every part; and helpless as to any aid they can give, in the great work of converting their own souls. 4th That according to God’s foreknowledge, previous to time, he did predestinate his people to life, and they being chosen in Christ before the world began, He did as our second Adam, the Lord from heaven, assume their nature, yet without sin when he became incarnate, and by his obedience and atoning sacrifice brought in everlasting righteousness for the rebellious and where said blessed merit is imputed or applied to them, they are thereby justified before God and being efficaciously called by his grace shall finally persevere therein to eternal happiness and glory. 5th Since the day of the Apostles, there is no higher ecclesiastical authority on earth than the congregated worshiping church of Christ being God’s heritage here below, there [sp.] right is to govern themselves by their own voices, select their own officers as Bishops and Deacons, who are their servants for Christ’s sake. So that no conclave of bishops or any counsel [sp.] appointed by themselves or even their own officers have a right to lord it over the church. 6th That as it is appointed for men once to die so there shall be a resurrection of the just and unjust on which awful day Jesus Christ will judge all men in righteousness; when the wicked shall go into everlasting punishment and the righteous into life eternal. 7th We consider baptism valid only by profession of faith and immersing the whole body under water. 8th We most seriously consider the preaching of repentance, and the invitations of the gospel to all characters of men to be one of the most interesting subjects of the gospel ministry, and that they who persecute, neglect or disobey, the gospel more highly aggravate their own guilt. I am a prideful man whose pride is often revealed to me in my anger toward others. God is convicting me of this and calling me to repentance. I am finding the following resources helpful in addressing this sin in my own heart. If you struggle with this sin, I’m sure they will prove helpful to you as well. “God, be merciful to me, a sinner!” I’m sure that I will be returning to these links again and again in a lifelong battle against the sin of pride and anger. If you know of any other resources that have proven helpful to you in this struggle, please add in the comment section below. In the year 1790, the Indian Creek Baptist Church (Harrison County) was founded. They applied for membership to the Elkhorn Baptist Association the same year. They would remain in the Elkhorn Association until 1813 when they were founding members of the Union Association of Baptists. They were founded by Augustine Eastin, a man who later became a Unitarian under the influence of a governor of Kentucky who was a member of the Cowper Run Baptist Church where Eastin pastored. Legacy Celebration. The theme this year was Kentucky Baptist history. I delivered two lectures/sermons for the event. I was asked to speak on Kentucky Baptist history, but it was in the context of a local church worship, so I tried to combine both. Below are links to the audio of the attempts. You should be able to download the MP3s. Should Baptists Celebrate the Protestant Reformation? This month marks the 500th anniversary of the Protestant Reformation, usually dated as having begun on October 31, 1517, when a German monk named Martin Luther nailed 95 Theses for discussion on the door of the castle church in Wittenberg, Germany. For this reason, many Baptist churches, including the one where I pastor, are preaching this month through the Solas of the Protestant Reformation, which summarize the key theological contribution of the Reformers that are still embraced today by Baptists (See below for a listing of the Solas.). One result of the Protestant Reformation was the formation of the Church of England (this was slightly more complicated due to Henry VIII’s involvement). Many within the Church of England continued to work to purify the church and some separated to form independent congregations. These independent congregations became either congregational or presbyterian in their church government. Among these separate congregations in the early to mid- 17th century, a number of the pastors and members of these churches became convinced by their study of Scripture that believers were the only proper subjects of baptism, then later that immersion was the only proper mode according to New Testament command and practice. These new Baptist churches which were formed are the direct spiritual forebears of modern-day English and American Baptist churches. For this reason, the core doctrines of the Reformation summarized in the Solas should be extremely important to us as Baptists. This is not to say that the Reformers were perfect (they weren’t) or that we agree with everything they taught (we don’t) or that there were not other groups prior to and during the Reformation that held to similar convictions as we do about regenerate church membership, immersion of believers, separation of church/state, etc. (there were). The Anabaptists of sixteenth-century Europe are one noble example. There were other groups throughout the medieval period that were persecuted by the Roman Catholic Church, but it is virtually impossible to reconstruct a line of “Baptist” churches dating back to the first century (though many have tried to do so, the Trail of Blood being the most notorious example). Many of the groups who practiced believers’ baptism were not orthodox in other areas of doctrine more central to biblical Christianity (Trinity, person of Christ, justification by faith alone, etc.). These are not my brothers no matter what they believed about baptism. The seventeenth-century English Baptists were not interested in proving that they were descendants of the Anabaptists or any other group from the medieval period (In fact, they distanced themselves from the Anabaptists.). For them, as it should be for us, it was sufficient to follow what the Scriptures teach and to establish churches according to the pattern found in the New Testament. By following the authority of the Scriptures in establishing their churches they were more consistent in their application of the principles of the Reformation than even the magisterial Reformers (Luther, Calvin, Zwingli, etc.) had been. So, Baptists are more Protestant than other Protestants, not less. We do not celebrate the 500th anniversary of the Protestant Reformation because the key leaders were flawless. They were deeply flawed men who deserve critique and correction. We celebrate the Reformation because the core truths recovered are timeless and are the foundation of our Baptist identity. Is Pastor Appreciation Month a LifeWay Conspiracy or an Opportunity to Obey Scripture? It’s Pastor Appreciation Month. If Hallmark created some of the other holidays, perhaps LifeWay created this one! However, 1 Timothy 5:17 does instruct us to “Let the elders who rule well be considered worthy of double honor, especially those who labor in preaching and teaching.” Therefore, I want to take this opportunity to express my appreciation to all the pastors who I have sat under in my life as a church member. Since I have served as a pastor for the last 17+ years, I have only had four such pastors during my lifetime. I am grateful for each of them and the particular ways that God used them in my life to shape me. Garry Weaver: This was my first pastor and the one who has had the most impact on me personally. He modeled selfless, sacrificial to his flocks and exemplified personal holiness and a committed prayer life. Hubert Troutman: Pastor Troutman (passed away a little over a year ago) was a lifelong family friend. He modeled kindness to all and love for the Lord and His people. He and his wife, Betty, had the spiritual gift of hospitality. Ray Bearden: Pastor Bearden modeled expository preaching through books of the Bible. His faithfulness to preach the Bible was a great example to me. He also provided an excellent model of professionalism and leadership over various ministries. He also provided excellent counsel and mentorship as I began my preaching ministry under his care (22 years ago this December!). David Gamble: Pastor Gamble became a very close friend as I served with him as an associate minister at Grace Baptist Church in Newport, Tn. David and his wife, Renee, modeled professionalism, kindness, thoughtfulness, and classiness. I learned so much from watching them interact with people with kindness and concern. Their thoughtfulness and thankfulness have made me better at those graces than I otherwise would have been. There are many others who I have known as friends or from whom I have learned from afar. I’m thankful to God for each of these men and the impact they have had and continue to have in my life. A little over a month ago, a new edition of Teaching Truth, Training Hearts: The Study of Catechisms in Baptist Life was released by Founders Press. The book by Baptist historian Tom Nettles was originally released by Calvary Press in 1998. This first edition was instrumental in my own education about Baptists’ use of catechism historically. I could never have guessed when I first read this book that I would be involved in a future edition of it. Due to my doctoral work on Hercules Collins under Dr. Nettles, he invited me to contribute material on Collins’ Orthodox Catechism to the new edition. My contribution was to provide a complete, edited transcription of the catechism and a substantial chapter-length historical introduction to the work. This amounts to 75 pages of the 328 page work. The book is available for order directly from Founders Press. I would first like to express my appreciation to Tom Nettles for including me with him in the second edition of this important volume. I must confess that I share Tom’s love for catechisms, largely due to his influence on my life. In fact, like for so many others, it was when I read the first edition of this volume that I became convinced of the importance of catechisms in Baptist life. Therefore, it is a distinct honor to have had the opportunity to pursue doctoral studies under the primary author of this volume and now to contribute in a small way to this second edition. My prayer is that this new edition will lead to the continued recovery of the use of catechisms in Baptist life today. I appreciate the following endorsements of the work from men who I greatly respect.